Well ‘go’ is a procedural language and is based on c and c++, in fact it is an attempt to bring c upto date for the 21st century. It keeps the small language footprint of c, updates the OO of c++ and critically introduces 21st century aspects such as concurrency and routine error and test driven tooling. 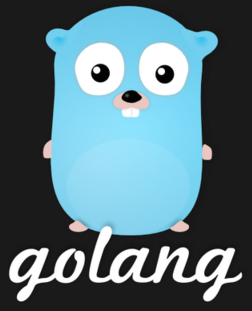 Go is search-able via ‘golang’ and the first small book I’ve read initially confirms it has the features I like. No over bloated java classes or runtimes, nice fast code complied to many OS, reasonable and growing library support for Web tasks and APIs, and it is niche enough to be interesting to discover. I was looking at functional, as that seems to be all the rage at the moment, but scala uses the same Java blot-time while Haskell seems to require a number of work arounds to get it to function in the real non-thoretical world. I know developers who love clojure (Java RT again) and a number of others who are back with LISP and its modern derivatives. However, I do still like the idea of Haskell and will pursue this in the future on some other ‘toy’ creation just to see if its satisfiability works as the community seem to suggest. Search Gear #3 – Go, coveralls.io, anaconda, twitter, TDD Cases! Search Gear #13 – Variable Scoping! Search Gear #5 – A Week of Go!